I’ve written extensively about the need to create referral offers that get people into the game playing motivation. These offers are often most effective with people inclined to refer anyway, but the right message can get them very motivated. 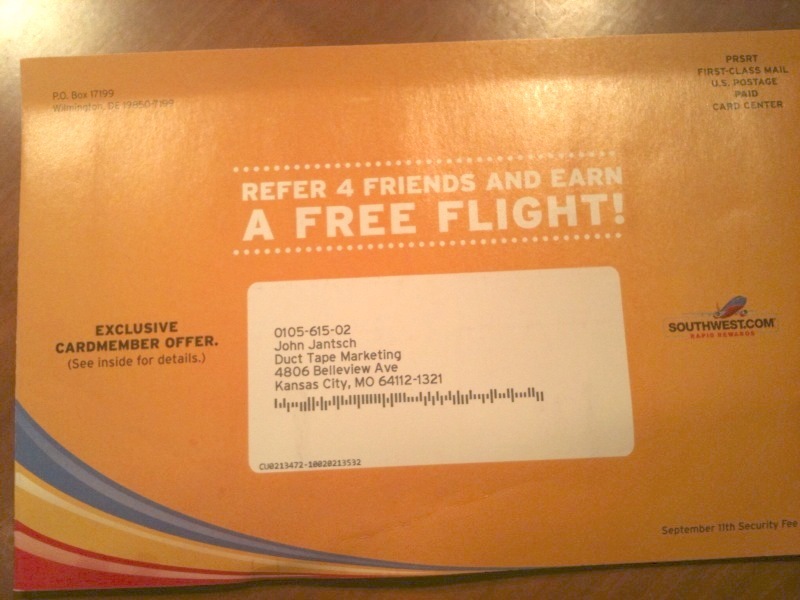 The offer from Southwest is one of the classic approaches that I cover in The Referral Engine. 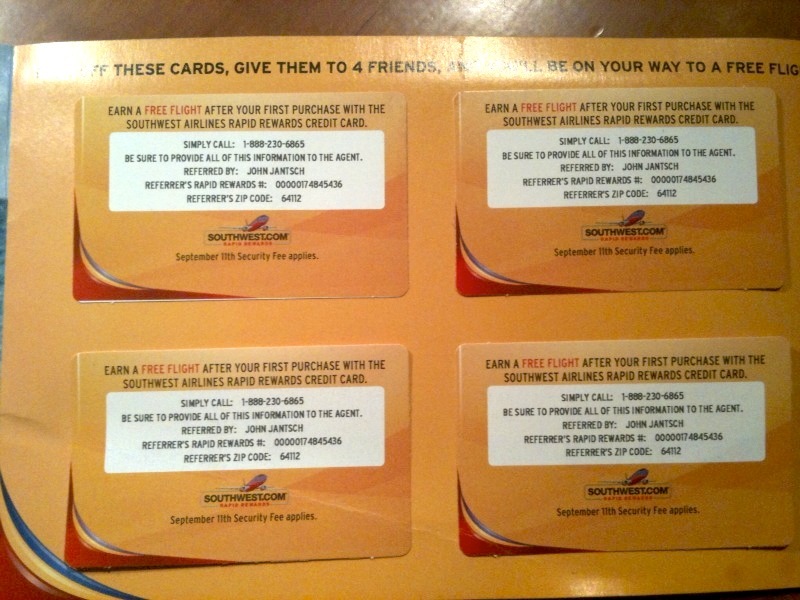 The offer is highly personalized and gives me a set of tools that can help me earn a free flight if I introduce four friends to the Southwest Rapid Rewards Visa. 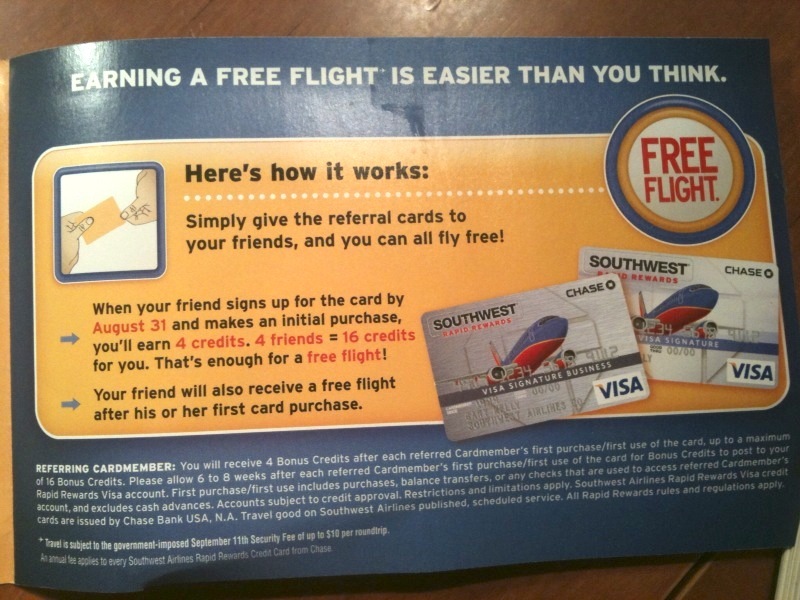 I’m not so sure that offer is that great, but what I loved is the four referral cards attached that make it super easy for me to put something in a friend’s hand. One of the keys to generating more referrals is to make it easy to refer you. 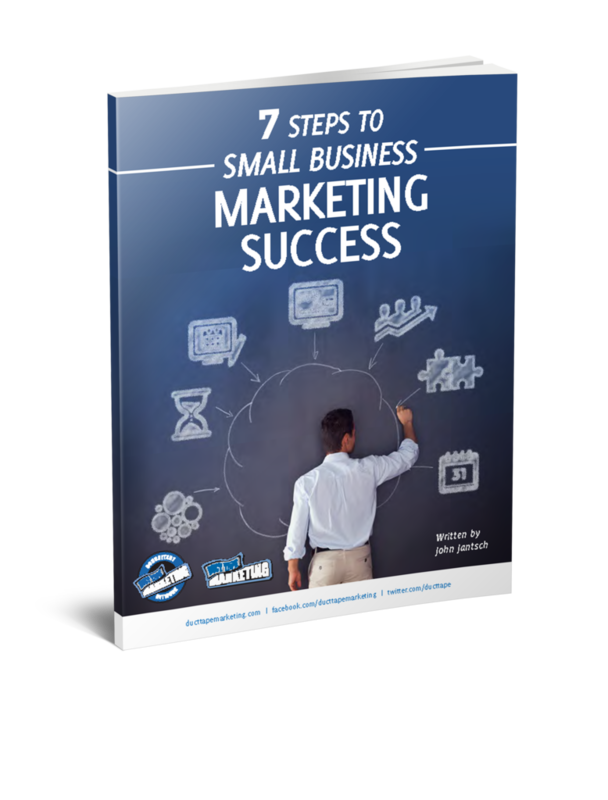 By creating mailings like this that can be sent out quarterly if you like, you can keep your referral campaigns top of mind. When you create a set of rules and a game message (get a 100% refund, earn a free flight, get a carpenter for a day), and them equip your referral sources with the tools to win the game, watch out!